I am humbled by having had the opportunity to attend the World Economic Forum in Davos this past week. During my time there, I learned that most of the interesting activity at Davos happens in the coffee lounges and hallways of the Congress Center where the interconnectivity of people causes serendipitous encounters which lead to future collaboration. The dinners and parties are great places for networking and for probing some of the most brilliant minds on topics affecting our times. Most of my friends would not agree with me, but one cannot ignore the amount of quality information being debated at the more formal lecture-type gatherings. I think most people told me they avoided a lot of the lectures and preferred talking to colleagues and new people outside the lecture halls. The conference is perfect for people who like to learn a little out of everything since the topics of the lectures are as varied as politics of India, Climate Change, Music, Psychology, physics, and many on the current state of the world’s economy. But if what you want is a deep analysis of each of the topics, this is definitely not the place. During many of the panels, each presenter gets at most 10mins to explain their point of view and by the time everyone has exposed their opinions, the session is almost over. I quickly found that so many things compete for your attention and I for one at times felt guilty that I was missing some other interesting talk while I sat listening to a different one. A scattered, ADD-like state very akin to what we experience culturally nowadays with a multitude of platforms, friends, jobs, family, trips competing for our attention. Insights on China addressed the Export Policy, Real Estate, Central government policy-making and private equity of the region. The Crystal Award Cermony presented an award to Jose Carreras for his work on Leukemia awareness. He said “It is our duty to use our popularity in order to give as much back to society as we receive from it.” Celebrated music director A R Rahman received the Crystal award and Carreras sang the Passion concert for us. What a treat. The Opening address was given by Dmitry Medvedev, President of the Russian Federation, who read the peech from his iPad. I attended a dinner talk on “Social Media Addiction” with Dan Ariely, Charlie Beckett, Trevor Doughert Reid Hoffman, Diarmuid Martin, Marissa Mayer and Clay Shirky, moderated by Loic LeMeur. Fantatstic table discussions and insights into this phenomenon by simply trying to answer the question of why is addiction to social media bad? Loic did a wonderful job at moderating the conversations. Larry Krauss (Physics Professor at Arizona State) and Rolf-Dieter Heuer (Director of CERN) lectured on the Universe, a visual exploration of Astrophysics and Quantum physics. Moderated by Philip Campbell (Editor in Chief of Nature magazine). I liked George Soros and Christine Lagarde’s panel on an International Monetary System where they discussed lessons from previous financial crises, enhanced G20 coordination and modalities of international monetary system reform. I missed the talk by pilot/her Chesley B. Sullenberger III who spoke on Leadership under Pressure. I later heard his talk was amazing. I would have also loved to attend the talk on Science, Discovery and Controversy with Francis Collins, Director of the NIH, Howard Alper Chair and President of Science, Technolloogy and Innovation in Canada, Dan Esty (Yale Professor) Larry Kraus and J. Craig Venter, Founder and Presidnet of the Venter Institute. But it occurred simultaneously with the social media addiction one which ended up being great. I went to hear Bill Clinton speak, as usual charming the crowds with insights into American politics, society and the economy. I attended a lecture on Global Climate Change from a political perspective with Presidents Jacob Zuma (South Africa), Felipe Calderon (Mexico), Denmark’s Connie Hedegaard, the EU commissioner for climate action and Costa Rica’s Christiana Figueres who in my opinion was the sharpest of them all. Hedegaard said that China, once an unrepentant polluter opposed to global controls, had joined Europe in deciding to invest in clean fuel technology in order to steal a march on America in a lucrative future market. I went to a lecture on Smart Mobility that discussed how the integration of information, telecommunication and transportation technology will change our future mobility. I escaped 15 minutes before it ended to attend Ian Bremmer’s (President of the Eurasia Group) panel on Managing “Black Swans” and “Fat Tails”. Ian did a great job but I thought the panel was too diverse focusing on too many kinds of risk such as financial, energy, environmental, political, sovereign default, etc… so the conversation did not arrive at any significant points. My friend Itay Talgam gave one of the most fantastic talks by focusing on an analogy between orchestra conductors’ style and CEO leadership. He showed videos with examples of different styles of conducting an orchestra and its effects on the music and compared them to different business leadership situations. He was warm, funny and very engaging. Everyone in the audience laughed and even asked for more once the allotted time had finished! Finally, one of my favorite lectures was on “The Science of Emotions” which tackled the question on “How can we master emotions for a happier, less stressful and more productive life?” Tania Singer, a neuroscientist did a superb job at explaining how there are (approximately) three parts of the brain: incentive focused, non-wanting affiliation focused and threat-focused. She talked about the correlation between different parts of the brain such as the amygdale and different emotions. She discussed experiments with sniffing natural oxytocin and how it causes people to trust and care for one another more. I can’t wait for that drug to be out in the market! The only thing is that the effect only lasts for 20 minutes. Daniel Goleman (Emotional Intelligence) talked about life-work balance and managing emotions in big corporations. There was also a female Buddhist Priest, Roshi Joan Halifax, who discussed the experiments measuring compassion and happiness in Buddhist monks. We eat them cooked any one of half a dozen ways in the morning. We use them in cakes and cookies and as a meringue on lemon pies. The particularly ambitious cook may use them in a mousse or a soufflé. (For eggs in cooking, revisit Physics in the Kitchen.) But have you ever stopped to think about how amazing the egg really is? 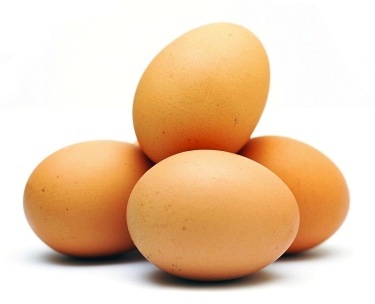 We all know that eggs should be handled carefully because their shells are incredibly thin. Drop an egg a short distance and you have a gooey mess to clean up. One simple tap on the edge of the counter is enough to crack open the shell. But try this experiment: hold an egg in the palm of your hand and curl your fingers around it. Now squeeze with all your might. Did it break? If you didn’t believe me and didn’t squeeze with all your strength, go back and try again. What on Earth…? The key to an eggshell’s strength is the fact that its whole surface is curved. The strongest shape is a sphere, and an egg is a close approximation of this. (The reason it’s not exactly a sphere in just a moment.) With no corners or flat sides to weaken it, the forces you apply to the egg by curling your fingers around it are distributed equally over the egg rather than concentrating at any one point. This works even in the following way. Hold the top and bottom of the egg with your thumb and forefinger and squeeze. Did it break this time? In physics terms, we say that the egg has a high “compression strength” — you’re compressing the egg, but it doesn’t break! In fact, an egg has such high compression strength, that (with the proper setup) it can support the weight of a small personwithout breaking. So why aren’t eggs spherical? The oval shape is created as the bird lays it, and this turns out to be an advantage for the hen. The shape prevents the eggs from rolling away! Spherical eggs would roll and roll and roll… and never return. For birds like ostriches that nest on the ground, this isn’t an issue, and their eggs are generally more spherical. But birds that nest on cliffs often lay very conical eggs, which roll in a tight circle around the narrow end and remain on the ledge. What else? How can you tell if your egg is fresh? Eggs contain an air pocket that forms when its contents shrink as it cools after being laid. As the egg ages, moisture evaporates and the air cell grows larger, reducing the average density of the egg. An object floats in a liquid if it is less dense than the liquid and an object denser than the liquid sinks. We can therefore use the egg’s density as a handy measure of the egg’s freshness! Here’s how it works. Place your egg in a container of water. A fresh egg with a small air pocket will rest horizontally on the bottom. The air pocket in a 1-week-old egg is slightly larger — its density is less — and the end will hover slightly off the bottom, and an egg that’s 2-3 weeks old — even less dense — will rest vertically on the bottom. Don’t eat any eggs that float! Now that you know so much about eggs, here’s a bonus question: what do eggs and Roman arches have in common? PS. When squeezing your egg: don’t wear any rings, and make sure your egg doesn’t have any cracks already. My “research” egg was blessed with a crack and I ended up with a handful of broken shell and raw egg oozing between my fingers and onto the floor! 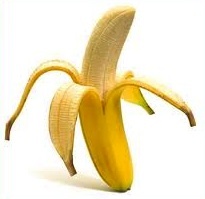 Did you know that bananas have five sides? Not sure? Pick up a banana and count the sides. Bet you there are five. How many one- or two-petalled flowers have you ever seen? Probably not many. They are relatively rare in nature. Flowers with three petals are more common, those with five petals more common still. But flowers with four or six petals are few and far between. What’s the deal? The answer lies with Fibonacci. Leonardo Fibonacci was born in Pisa, Italy, around 1170 and spent several years in Algeria with his father, a wealthy merchant. Roman culture had spread widely in Europe by the Middle Ages and the Roman numeral system was commonly used for arithmetic. While addition and subtraction are relatively easy with the system, anything more advanced — even multiplication or division — is difficult; the lack of zero poses a particular problem. In Algeria, Fibonacci learned of the Hindu-Arabic numeral system and recognized the simplicity and efficiency of mathematics in this system compared to the Roman system. He traveled throughout the Mediterranean, studying under many leading Arab mathematicians, and returned to Pisa around 1200. The publication of his book Liber Abaci (Book of Calculation) two years later helped to popularize the Hindu-Arabic numeral system in Europe, becoming the numeral system we still use today. The amazing thing about the Fibonacci sequence (aside from rabbit populations, of course) is that numbers in the sequence occur regularly in nature. Look at your banana again. Five sides – a Fibonacci number. The most common flowers have 3, 5, 13, 21 petals – again, Fibonacci numbers. In other cases, pairs of consecutive Fibonacci numbers determine the pattern of seeds in a sunflower, fruitlets on a pineapple, or scales on a pinecone. Let’s look at the chamomile flower as an example. 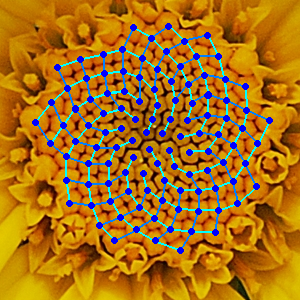 To get the most compact arrangement, the florets are arranged in a spiral pattern, and — surprise! — the number of spirals corresponds to Fibonacci numbers! Highlighted in turquoise in the picture are the florets spiraling counterclockwise. Count the spirals, and you get 13. Now count the number of spirals circling in the opposite direction. Another Fibonacci number! The next time you have a pinecone or pineapple in hand, look for the Fibonacci numbers. (Hint: the pineapple has three.) Where else do you find the Fibonacci numbers in nature? We’d love to hear from you! You are currently browsing the Daily Science blog archives for May, 2011.